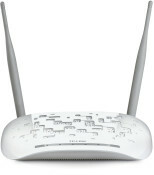 View cart “UniFi Dual Band UAP-AC Access Point 802.11ac” has been added to your cart. 8level WRP-300 repeater is a wide range of applications, with small dimensions. Combining tns of access point, router, repeater, client device AP (APC) or WISP type. The WRP-300 is intended for a power outlet mount, apart from extending WiFi coverage it allows for connection to the network other devices like a television set, gaming console, media center and others. The maximum throughput supported by WRP-300 is 300Mbps. 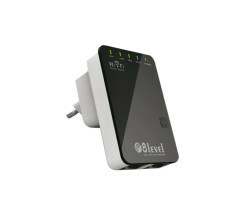 The device has been designed as a tool for extending the WiFi coverage for existing wireless networks. It also allows for eliminating blind spots - places where the network signal looses strength. WRP-300 is equipped with two RJ-45 port, which allow to connect to the wirless network two wired devices like gaming console or TV. 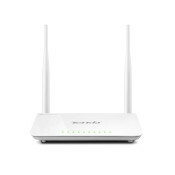 WRP-300 can work in a access point mode, which allows to create a wireless network with up to 300Mbit bandwidth in the home, offce and any other. 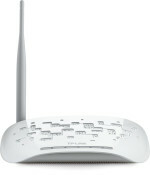 WRP-300 allows to create wired and wireless network connections working in router mode. The internet access is made through a WAN cable connection, which then is shared with a LAN or WLAN. In the WISP mode the devices connects directly to your ISP and shares this connection with build in two RJ45 LAN ports. It adds NAT which allows to connect more than one computer at a time. Compact for factor and power outlet mount allow for easy connecting and transporting of the device. The 8level WRP-300 repeater has a WPS (Wireless Protected Setup) function which allows fast and simple secure network configuration. It works with WPA2-AES(WPA2) network encryption protocols. Repeater 8level WRP-300 is compatible with the 802.11n/b/g standard and works in the 2T2R, which allows to reach maximum speed up to 300Mbps. This allows for a fluid HD video-audio transfer and online gaming. Repeater 8level WRP-300 has a built in QoS support, which allows for users to control bandwidth flow and bandwidth administration for better quality connections.